NetDragon Websoft Holdings Limited ("NetDragon" or "the Company"; Hong Kong Stock Code: 777), a global leader in building online communities, is pleased to announce that "The Fourth US-China Smart Education Conference" was successfully held at the University of North Texas on 18 March 2019. It was co-hosted by Beijing Normal University, University of North Texas and National Engineering Laboratory for Cyberlearning and Intelligent Technology, and co-organized by Smart Learning Institute of Beijing Normal University and the College of Information of University of North Texas. In attendance were experts and scholars from the Ministry of Education of China, United States Department of Education, all levels of educational administration, eminent colleges and universities and research institutions, as well as senior executives and representatives of well-known information technology companies in China and the United States. As a partner of National Engineering Laboratory for Cyberlearning and Intelligent Technology and Smart Learning Institute of Beijing Normal University, NetDragon has participated in this conference for four consecutive years. In the conference this year, NetDragon presented its global online education platform, Edmodo, which demonstrates NetDragon's experiences and achievements in digital education in the past years, as well as bringing new practices and ideas to the development of the industry. Since the successful hosting of "The First US-China Smart Education Conference" in 2016, the latest achievements and development trends in the field of smart education have become a key topic of focus of the conference. Conference organizers are committed to building an academic platform that connects China and the United States and integrates global smart education resources. The conference focused on eight major topics, including science education, educational robots, artificial intelligence (AI) and mixed realities in learning, and learning through gamification. In the conference, an academic report titled "Transforming Education through Intelligent Technology: A comparison report of China and U.S." was released and a smart education exhibition experiential event was hosted. The exhibition booth of Edmodo, the global online education platform of NetDragon, attracted a number of guests. Being one of the largest and most active global learning community platforms, Edmodo provides K-12 schools with a collaborative communication platform for teachers, students, administrators and parents. It allows users to share resources, and distribute quizzes and assignments. Currently, Edmodo has more than 100 million registered users covering more than 400,000 schools in more than 190 countries. Dr. Xiong Li, Associate Director of National Engineering Laboratory for Cyberlearning and Intelligent Technology and CEO of NetDragon, said, "NetDragon combines the online education platform Edmodo with its content, technologies and teaching tools to support various scenarios during the teaching process, including interactive lesson preparation and teaching, student collaboration, assignment check, communication between students, parents and teachers, as well as a full range of functions such as educational content stores and resource sharing." Dr. Xiong Li commented, "In recent years, NetDragon has continued to increase its strategic investments in the education industry, execute global deployment and integrate the best resources around the world, with an aim to provide the best one-stop digital education solution and a new teaching experience to educators and learners. NetDragon's ultimate goal is to create a 'life-long learning community for the world'. Since entering the education industry, NetDragon has devoted itself into building a solid foundation. Every step that NetDragon has taken is very practical, and every new initiative and movement that NetDragon has implemented is serving our ultimate goal." After years of expansion into overseas markets, NetDragon has achieved outstanding performance. For example, in Moscow, the Company provided the latest interactive learning technology to more than 7,600 smart classrooms in 2017, and then to another 13,000 classrooms in March 2018. In addition, NetDragon continued to expand into new markets across emerging countries, including Egypt, Nigeria, Kenya and Malaysia in 2018. To date, education business of NetDragon has expanded to more than 190 countries around the world, benefiting more than 100 million users and covering more than 1.3 million classrooms. 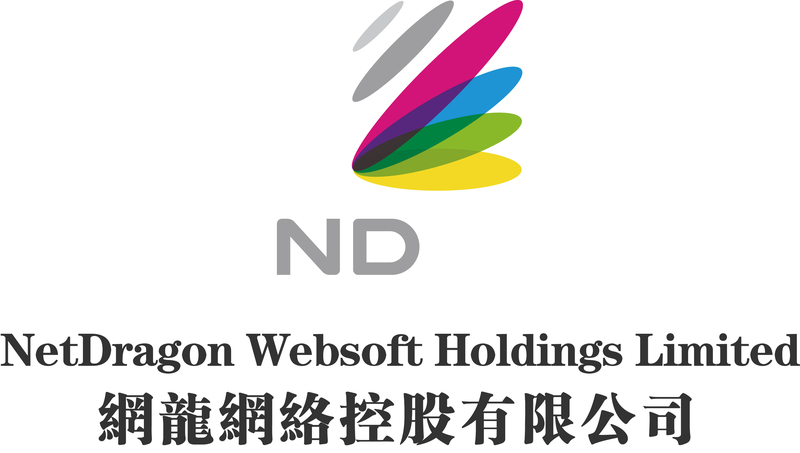 NetDragon Websoft Holdings Limited (HKSE: 0777) is a global leader in building internet communities. Established in 1999, NetDragon is a vertically integrated, cutting-edge R&D powerhouse with a highly successful track record which includes the development of flagship MMORPGs including Eudemons Online, Heroes Evolved (formerly known as Calibur of Spirit) and Conquer Online. The company also established China's number one online gaming portal, 17173.com, and China's most influential smartphone app store platform, 91 Wireless, which was sold to Baidu in 2013 in what was at the time the largest Internet M&A transaction in China. Being China's pioneer in overseas expansion, NetDragon also directly operates a number of game titles in over 10 languages internationally since 2003. In recent years, NetDragon has emerged as a major player in the global online and mobile learning space as it works to leverage its mobile Internet technologies and operational know-how to develop a game-changing learning ecosystem. For more information, please visit www.netdragon.com.